The packaging of the bain is quite nice and elegant. It comes in a violet plastic bottle with a silver hard top. The highest part of the silver top is also violet, acting as a reminder of the color of the bottle. On the bottle, you will find the name of the product along with the important information, including the brand name. 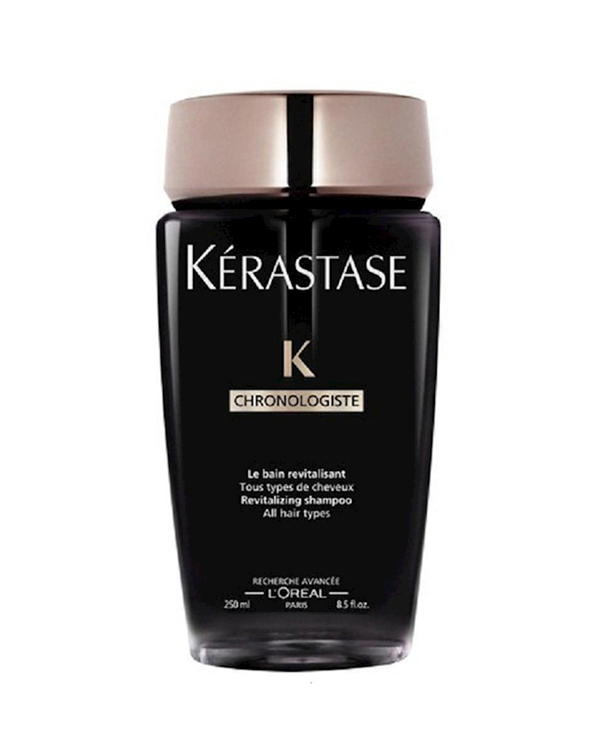 When you first open the shampoo, you will notice that Kerastase added a small security measure, like a flap, as to make sure it is sealed. This packaging is very luxurious but it is not the most practical for travel. It has a liquid creamy texture. 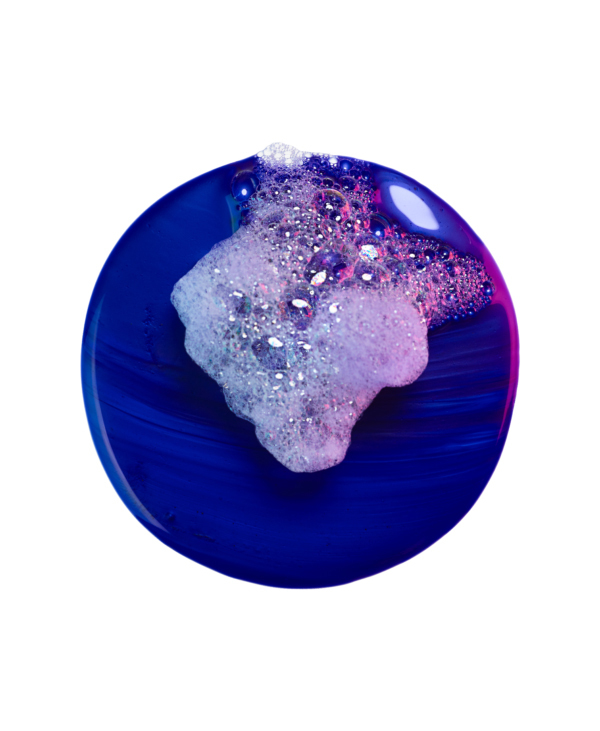 When first poured, its color is shiny blue, but as soon as it comes in contact with the water, it turns violet, bringing us back to the name of the product, Ultra Violet. It is a little sticky in touch. 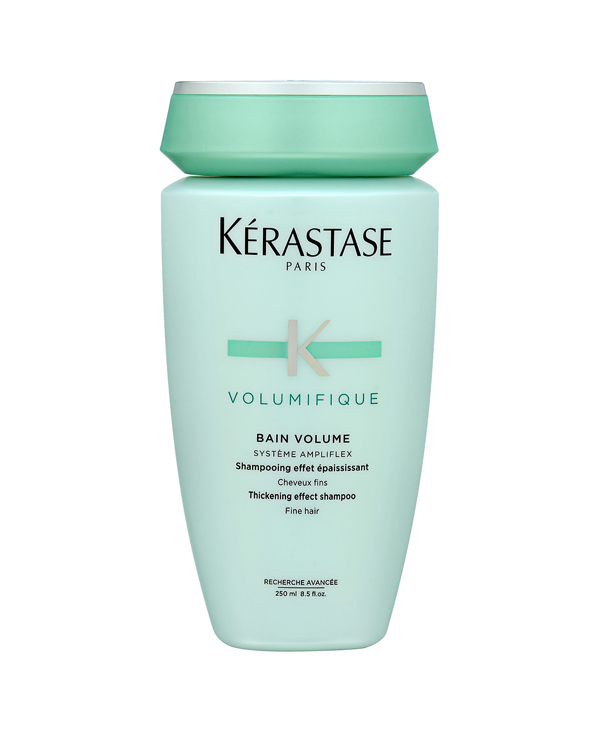 The brand recommends to wet hair then thoroughly remove excess water before applying a quarter-sized amount of shampoo touch by touch onto 5 key zones of the hair. Add water and emulsify. Leave it on between 2 to 5 minutes. Rinse thoroughly. 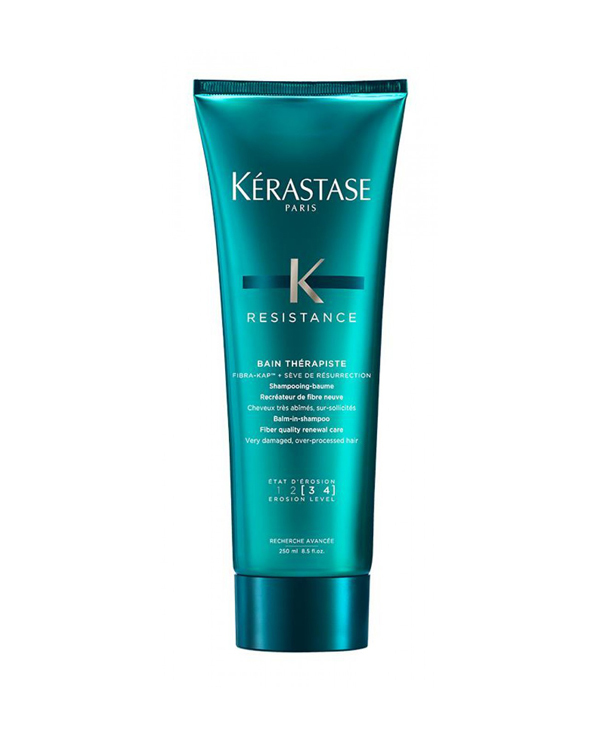 This shampoo can be used once to twice per week, along with a color protection shampoo. The shampoo has a very nice flowery smell, but it fades after a while. 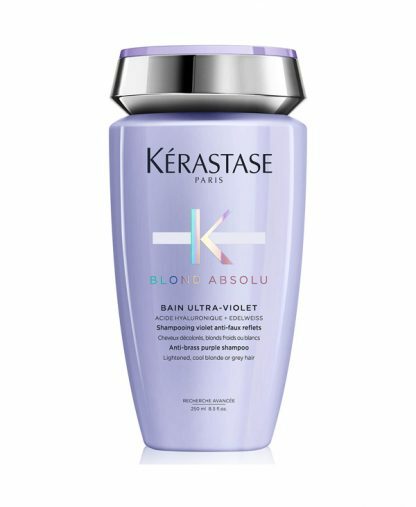 The Kerastase Bain Ultra Violet is a shampoo developed specifically for blondes. 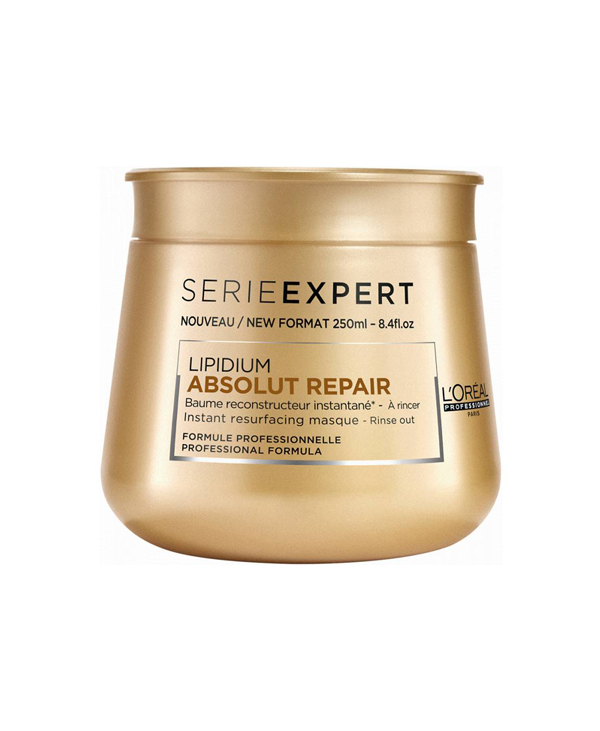 The brand claims it will restore, gloss and shine blonde hair. Its deeply nourishing treatment boosts luminosity. The aim is to obtain lasting protection against brassy and yellow tones, while also shielding your hair against pollution and other external factors. The main ingredients, Hyaluronic Acid and Edelweiss Flower, work in harmony to melt away dirt and excess oil and replenish hydration and are able to help you maintain a healthy, natural-looking shine. It is said the Bain Ultra Violet nourishes follicles from the inside out. We observed noticeable improvement after a few times of repeated use on artificially blonde hair. The hair is obviously shinier, smoother and looks healthier and stronger. There is a clear invigoration of the color, in an almost luminous. 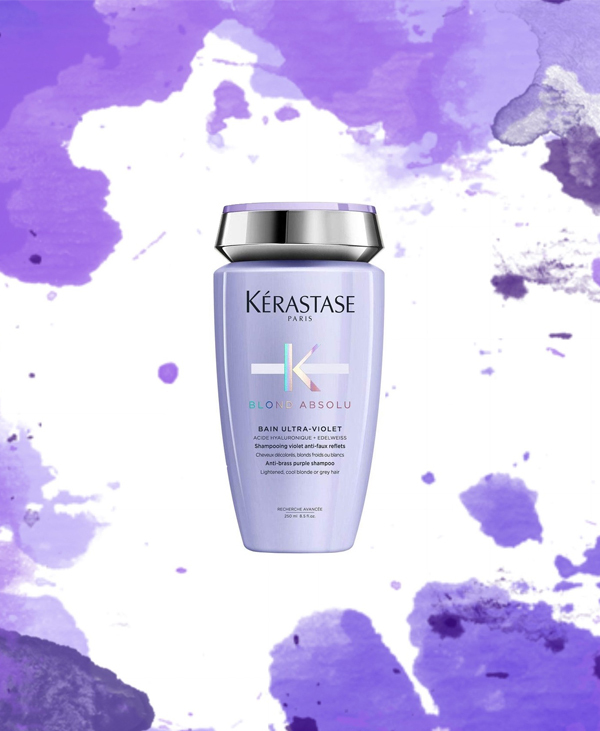 We found this Kerastase shampoo for Blonde is a really good care for bleached hair. It upholds most of the brand’s promise. 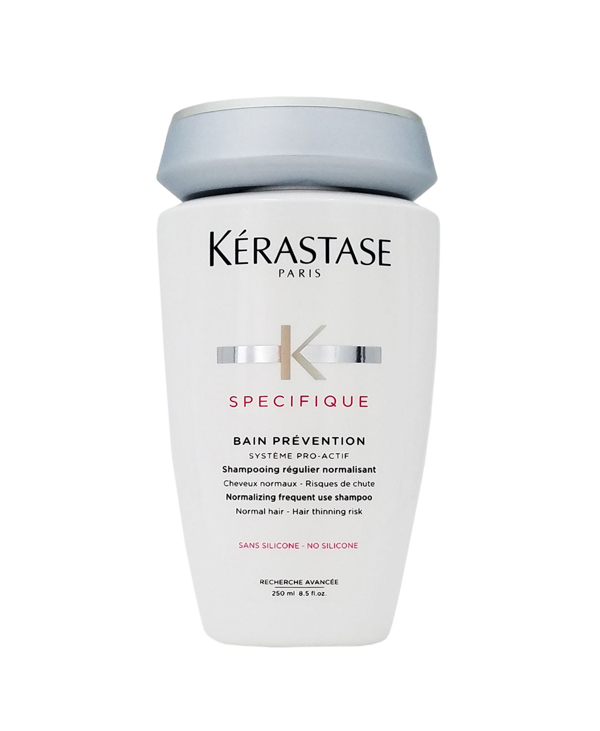 For a more efficient use, we advise you to combine the Bain with the Kerasatase Blond Absolu, Cicaflash. 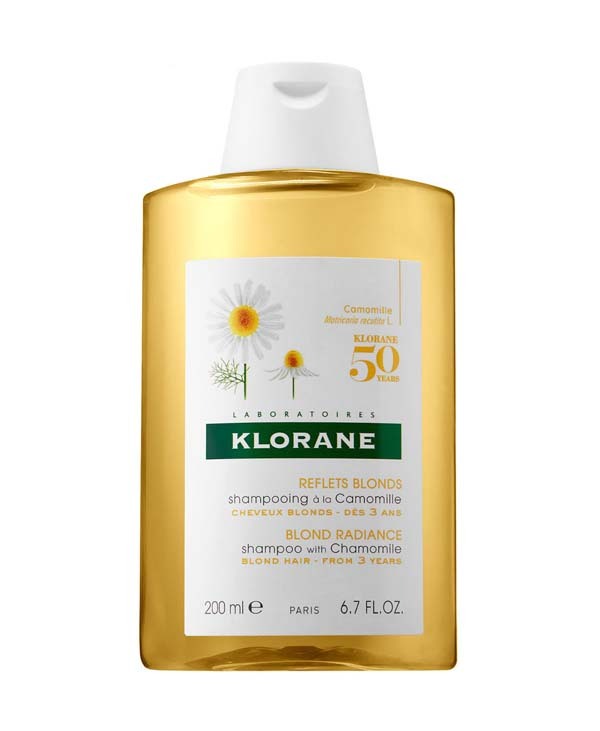 Pro-tip: This is a great shampoo for the summer time, where blond hair is at risk, between the sun, the chemicals in pools, sea water and heat. 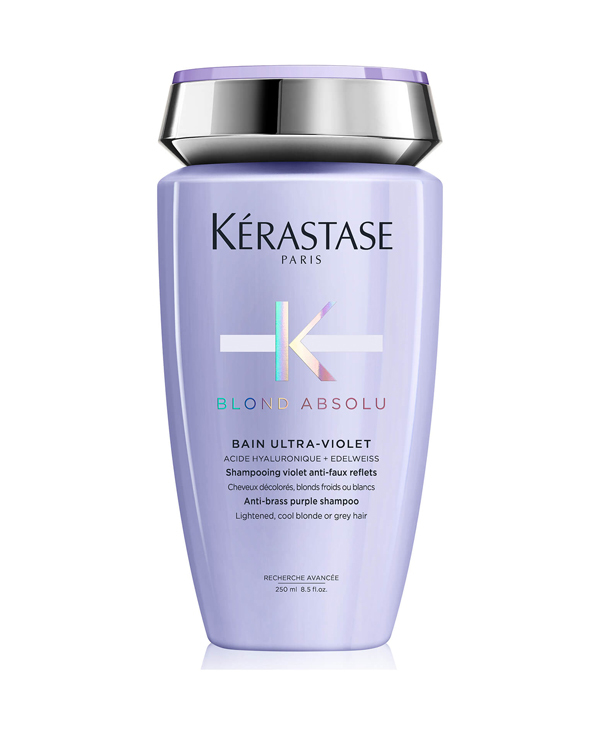 The Kerastase Blond Absolu Bain Ultra-violet is priced at 26.7$ for 250ml. 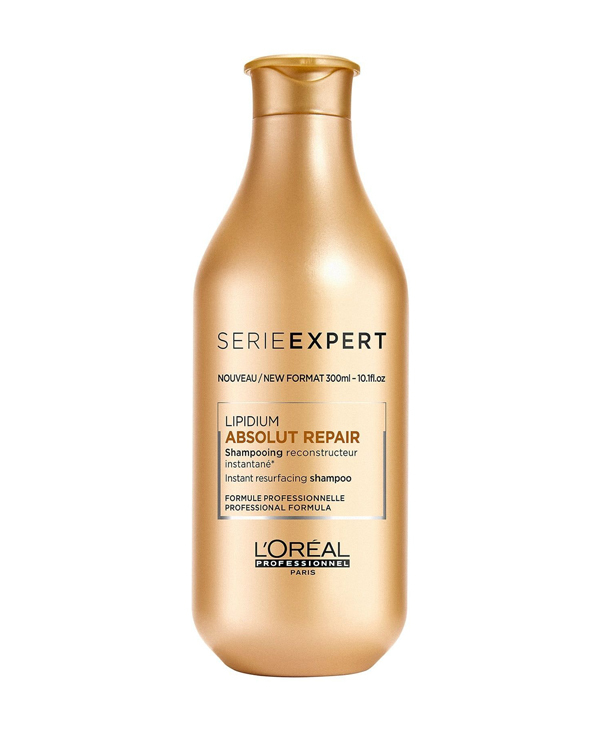 Compared to similar range shampoos for blonde hair, it is more expensive than the L’Oréal Professionnel Serie Expert Blondifier Gloss Shampoo, priced at 20.50$ for 300ml. my hair became so silky to the touch and to the eye! Thank you to Ounousa reviews for gicong me the chance to try this product. I really love the packaging and the smell of the product. When I first used it I was overwhelmed by the smell of it but then after drying it it’s faded away. This product made my hair I feel really soft nourished and silky. What I really like about this product also is that it does not cause a lot of bubbles once it’s on your hair which shows that it’s ingredients or more natural than other shampoos we see nowadays. I used the shampoo in combination with its conditioner. When I first rinse out the sample from my hair I feel like my hair is dry but then when I use the conditioner life comes right back to my hair. I used to have a very dry scalp but this helped a lot and hydrated my scalp because of the hyaluronic acid content present and the shampoo. The package’s color is a wonderful purple. I loved the smell and the texture of shampoo. The result is great on natural hair too. The only side effect is that it adds dryness to dry hair. My hair is normal to dry and curly. The shampoo made my hair more dry and frizzy. All in all the effect on color mentioned before is correct. This purple shampoo is the best for blonde colored hair , it doesn’t make your hair dry and give you the best color from the very first usage. So no need for a conditioner. Using this purple shampoo with the cicaflash masque is the best combination to obtain an instant fresh and clean blonde look without any yellow undertones! Let me say this straight , this has done miracles from the very first shower ! You can definitely feel the difference from one shower. 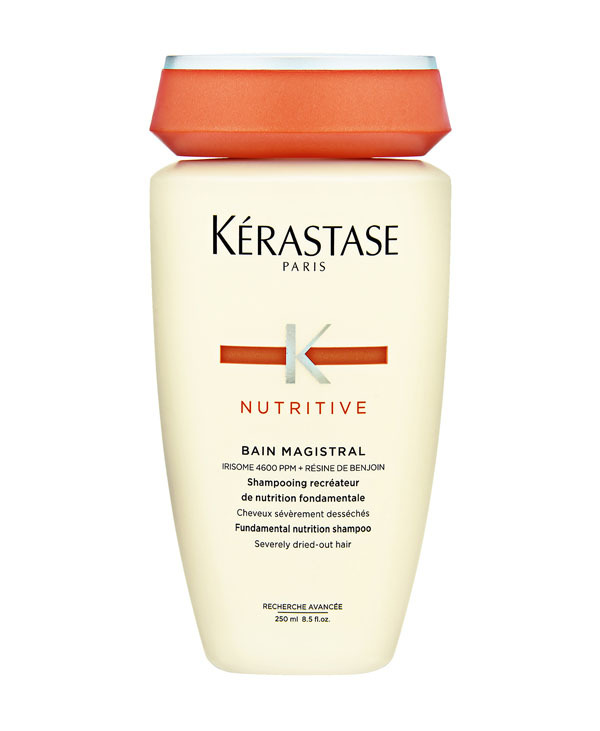 The packaging is extremely luxurious i mean kerastase does it best literally ! I tried this in 2 methods , the first one is by giving it a shower directly when i am having a bath and as i said big difference! The 2nd one is by putting the shampoo on dry hair wait 15-20 mins and then shower and believe your highlights will be fresh as if you have done a toner in the salon , followed by the treatment that comes with it And i cant put thank ounousa team for the generous box ! I was very happy with the result.. At first it did not dry my hair so no need for a conditioner as a must.. As my hair tend to dry since it’s highlighted.. Loved the creamy texture and the color and light smell are very appealing. The product has creamy texture and a very nice smell, it boosts hair’s shine. Comparing to other products it doesnt need a conditionner to use with. I was surprised by the result from the first use, and didnt dry my hair. 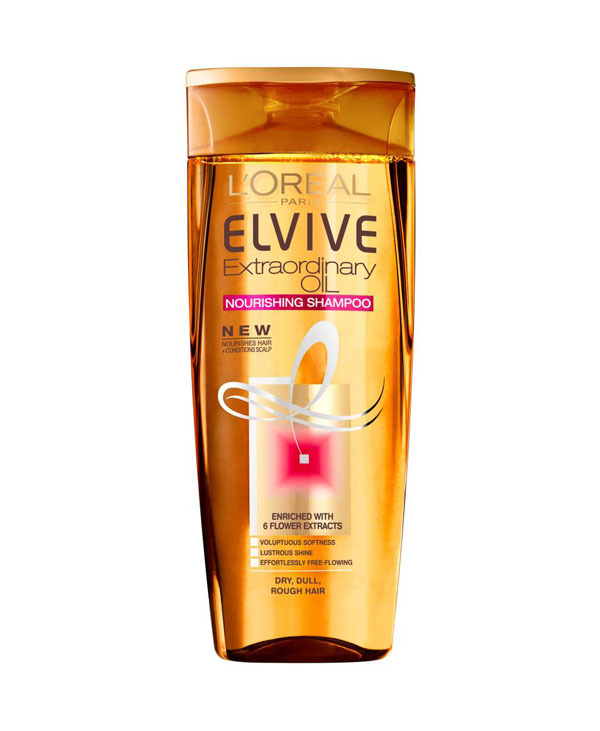 I was very surprised by this shampoo, by its efficiency, its cleaning power but especially its texture. I loved everything about it from the packaging to the smell and milky texture of the product! 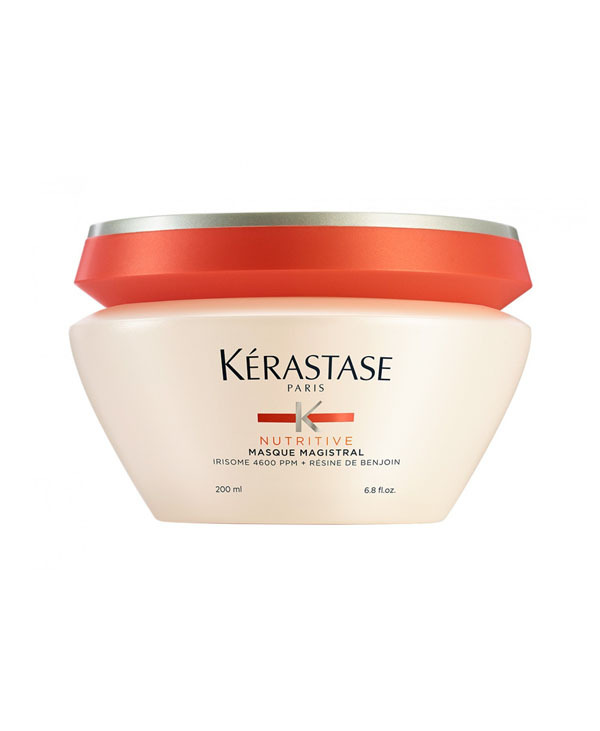 As Usual with Kerastase you can’t go wrong. I have highlights, so my hair tends to feel a bit dry on its end, but after few utilization, i felt my hair stronger and silkier. Moreover, it does not entangle the hair as other shampoo do, on the contrary! 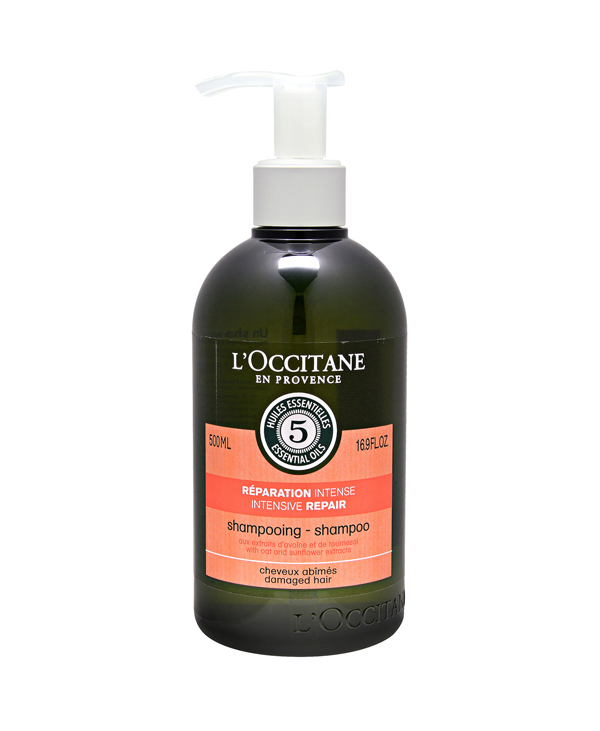 It nourishes the hair well, and i was able to see an improvement after 3 shampoo; they are less dry, softer, silkier. I am very pleased with the result. It helped tone my hair from the very first application. The best thing about it is that unlike any other “purple” product it does not dry your hair out. 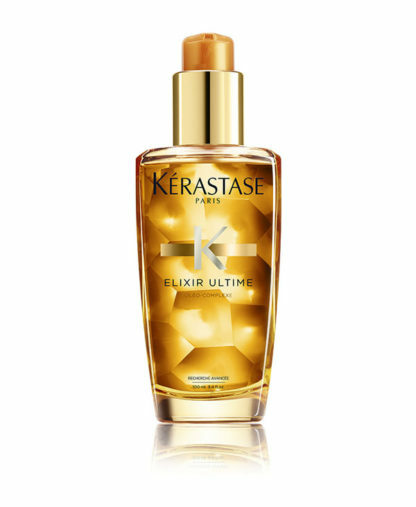 Recommended for refreshing your blonde hair and removing the brassy orange tones. 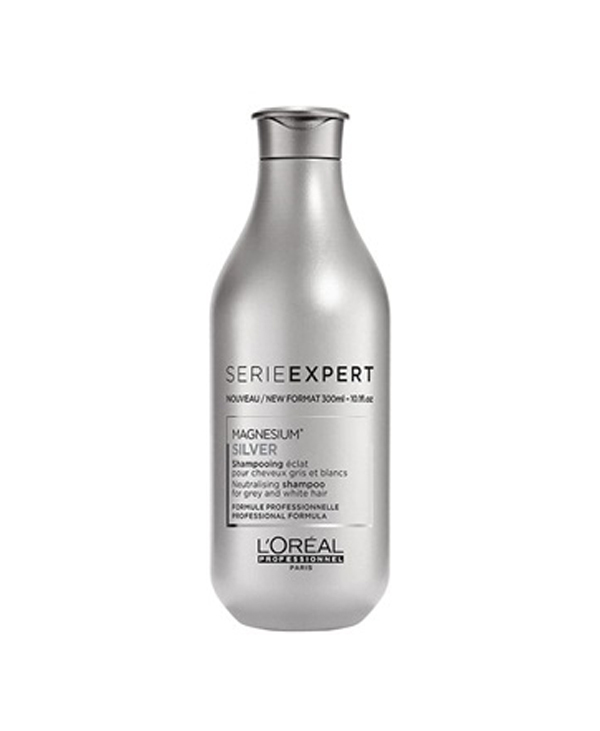 Since I have silver hair, the color fades after several washes leaving brassy yellow hair. So, I have tried many kinds of violet shampoos. Unlike this shampoo they all left my hair dry and easy to break. This shampoo left my hair brassless and soft at the same time as if I have done my hair in a famous salon.